As our 70th year in business comes to a close and the excitement of our expansion builds (literally! 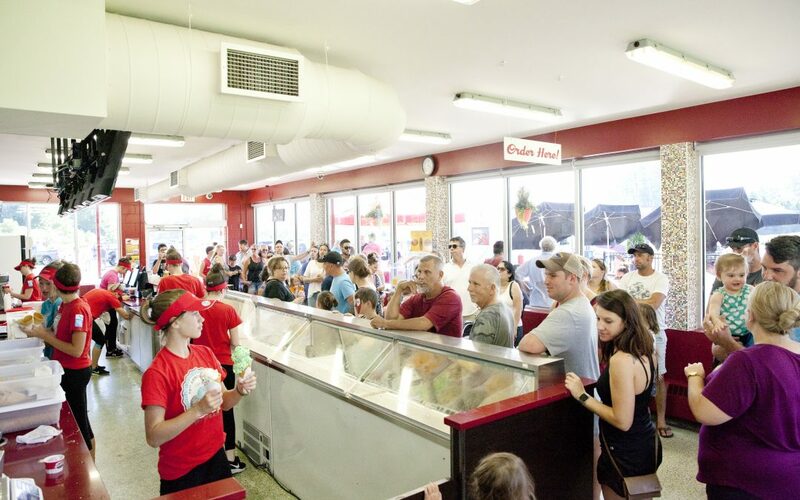 ), we’ve been reflecting on our strengths and how we can improve on the longevity of Shaw’s Ice Cream for years to come. It was incredible to hear from so many of our loyal customers this year who joined us to celebrate. Hearing your stories was such a wonderful reminder that we don’t just make ice cream. We’re helping to create memories. Ice cream brought us together and it’s truly a treat to hear others’ stories about time shared over sweet scoops with friends and family. The overwhelming support we’ve received from the communities where we live and work, and the loyalty of our customers, inspires us to give back. In turn we hope this will encourage others to give back as well. Let’s pay it forward and inspire kindness together! Over the next few weeks, we’ll be rolling out a few sweet surprises to say thank you, as well as announcing opportunities for you to get involved as well! Stay tuned to Facebook and Instagram (@shawsicecream) to find out what we’re up to and follow #shawsshares.